I have officially found the next best thing in sunglasses. 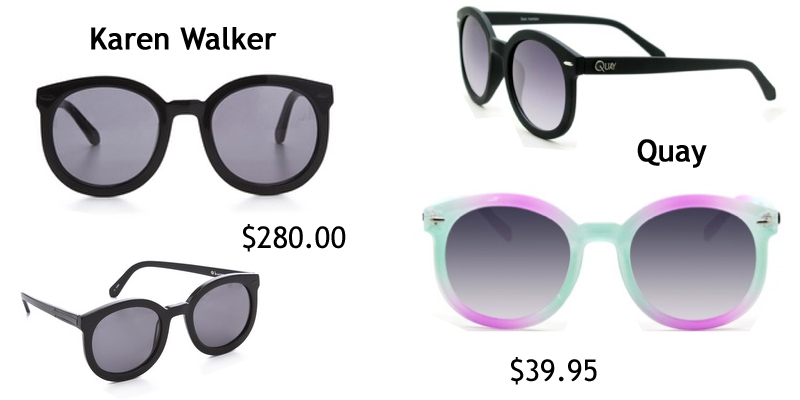 I have been dying for the Karen Walker Super Duper Strength sunglasses, however, $280.00 is an exorbitant amount of money. Is it just me, or have her prices increased? 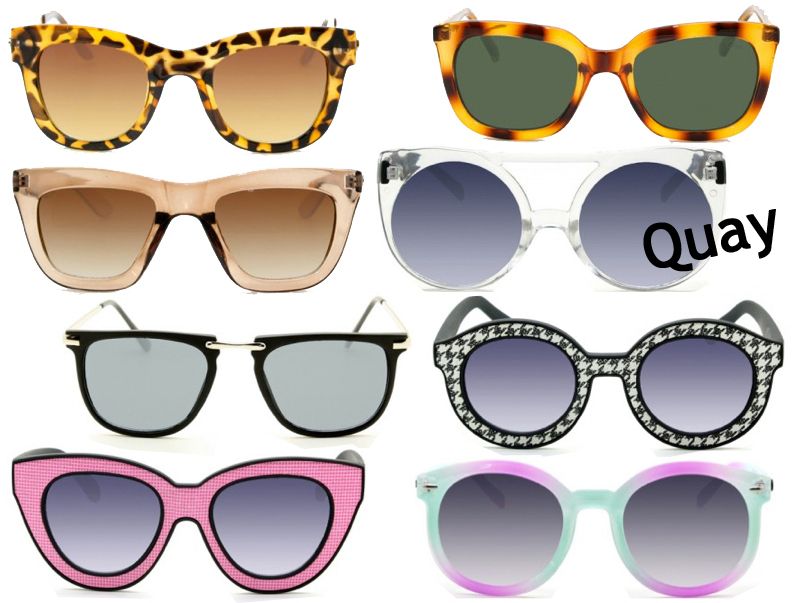 Anywho, thank God for Friday night People.com stalking because I found Quay, the wallet friendly alternative to my sunglass problem. Now that I can afford. Don't worry, you can thank me later.